Best places to visit in India – India being a diverse country with beautiful landscapes and rich culture, the country has become a hotspot for tourists. Most of the people who visit India want to come back and enjoy the luxuries of the mountains and the seas all over again. The peak season for domestic travelers in India is between April and September due to summer vacations in schools. 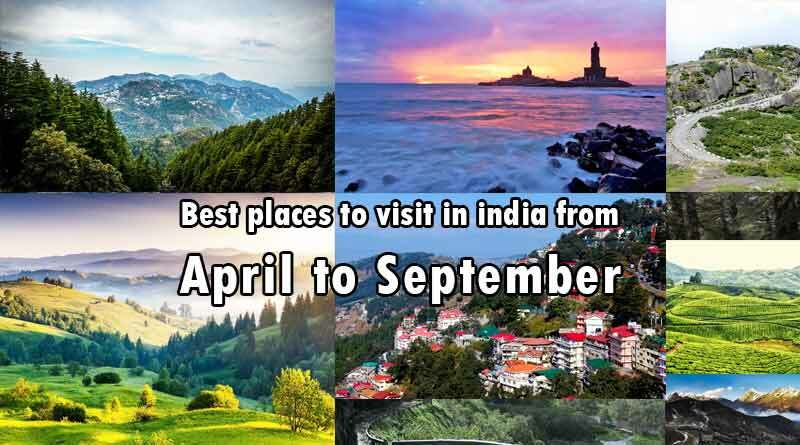 These are the best places to visit in India from April to September and trust us when we say that you will not be disappointed. Happy holidays and Enjoy! Do follow us on Facebook, Twitter, and Instagram to stay updated with our latest articles.